During ancient times, humanity struggled for survival and grappled with their purpose of existence. In the OldEarth Encounter series, Aram, Ishtar, and Neb battle wild beasts and craven spiritsâ€”while a wider universe looks on. 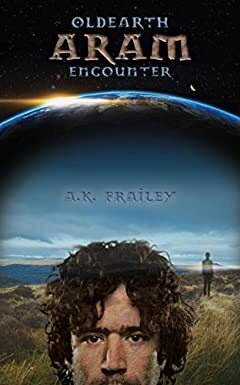 Ishtar, the son of a slave trader, struggles between hope and despair, as Zuri (an intergalactic trader) and Ark (a Cresta scientist) learn that though the universe is growing dark, understanding comes from within. Teal (a Luxonian guardian) travels through a swirl of inter-alien politics and finds that nothing is as complicated as love. In the story behind the Newearth Universe, Aram discovers an unseen world, while the universe discovers a devoted heart.